The romantic notion of the Russian forest as an unbroken band of boundless wilderness is a myth. In reality, the taiga consists of fragments of wilderness, separated by areas affected – either directly or indirectly – by modern land use. Industrial forest harvesting and the fires that follow logging, agricultural use and road construction are the main causes of fragmentation and transformation in European Russia and the southern parts of Siberia and the Russian Far East. In Western Siberia and the northern parts of Eastern Siberia and the Far East the extraction of mineral resources (including prospecting and construction of transportation infrastructure) and the massive humanCinduced fires that accompany these activities have also caused fragmentation. Approximately 289 million hectares (26 percent of the forest zone) remain as large, intact forest landscapes in Russia. Approximately 5 percent of the intact forest landscapes are in areas with special protection at the federal level. Eastern Siberia is the part of Russia that is least affected by modern land use, with 39 percent of the forest zone still intact, followed by the Russian Far East (30 percent intact) and Western Siberia (25 percent intact). European Russia is the most affected (9 percent intact). Almost half of all intact forest landscapes are found located in five administrative regions in Siberia: the Republic of Sakha (Yakutiya), the Evenk Autonomous District, Krasnoyarsk Kray, the KhantyCMansi Autonomous District, and Irkutsk Oblast. Seven regions have more than 50 percent of their area in intact forest landscapes: Nenets Autonomous District (100 percent), Koryak Autonomous District (88 percent), (Kamchatka Oblast (85 percent), the Republic of Altay (63 percent), YamaloCNenets Autonomous District (62 percent), Evenk Autonomous District (61 percent), and the Republic of Tuva (57 percent). 98 percent of the total area of intact forest landscapes is in the 29 regions that have at least 10 percent of the area in that category. Intact forest landscapes are completely missing from 49 of 89 administrative regions. 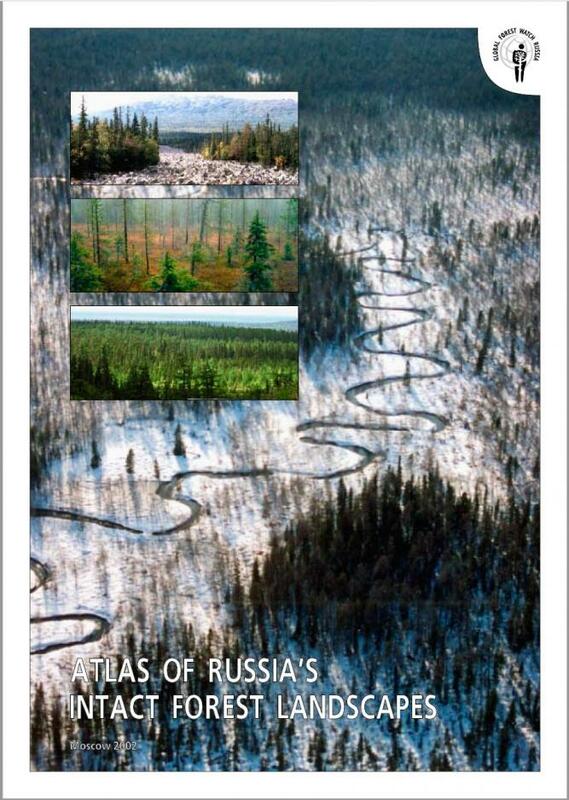 The forest zone of Russia is made up of 6 ecoregions according to the global classification by WWF. In half of these, more than 90 percent of the area is affected by modern land use, while only one (montane grasslands) has retained more than half of the area in intact condition. Most of the intact forest landscapes areas are in sparsely wooded and mountainous parts of Russia. More than 80 percent of the intact forest landscapes fall in one ecoregion: boreal forests/taigas. Most administrative and ecological regions of Russia lack a representative or sufficiently large system of protected areas within the remaining intact forest landscapes. Approximately 5 percent of the intact forest landscapes (14.4 million hectares) have special protection in various forms: zapovedniks (strict scientific nature reserves), national parks, federal zakazniks (sanctuaries and wildlife refugees), and federal nature monuments. More than half of protected areas (3.6 percent) are in reserves.